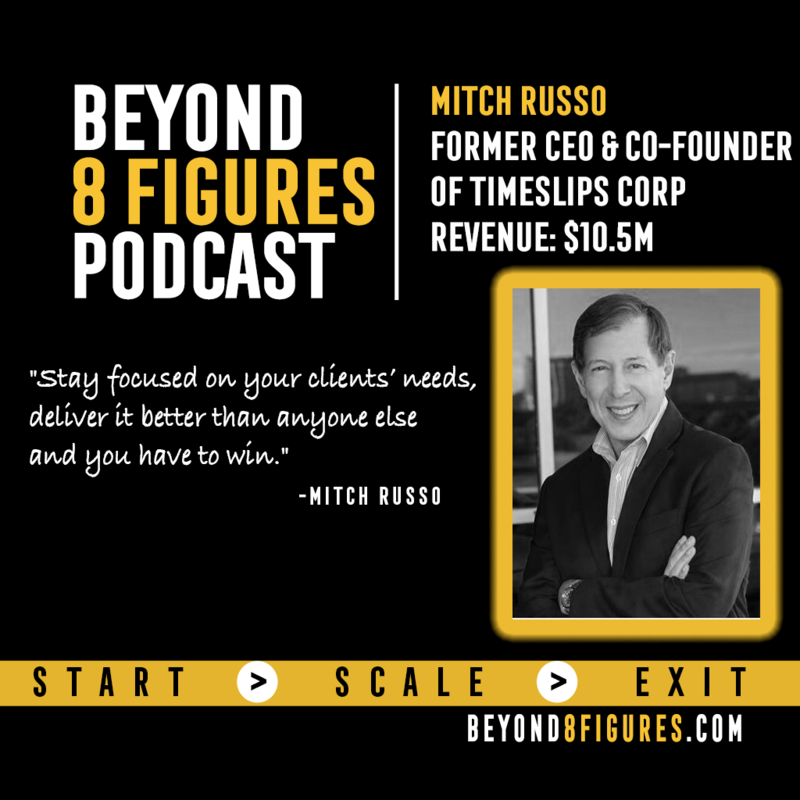 In this episode of Beyond 8 Figures, Steve, Mary & Richard sit down with Mitch Russo founder of Timeslips Corporation who exited for 10.5 Million dollars. Listen and find out what Mitch Russo learned as he grew Timeslips from a garage start-up of $10K to a 100 employee company that sold for $10.5 Mil. · Stay focused on your client’s needs, deliver it better than anyone else and you have to win. · Always ask yourself what can you sell next after you've made the first sale. · Figure out your vision, stay the course, but be willing to adapt. · It doesn’t happen the way you think it will. Learn from what didn’t work.